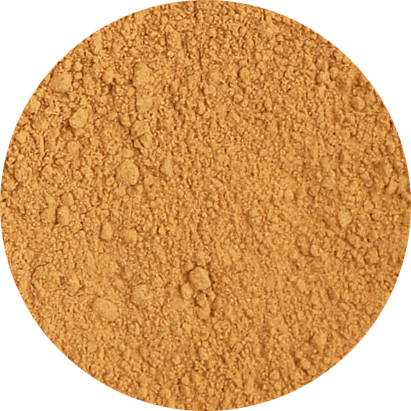 The carob powder has a prebiotic effect, its fibers help to improve the intestinal flora. It has been used as an antidiarrheal, but it is also laxative, and favors the correct peristalsis. In addition, the carob powder favors the healing of infections and gastrointestinal problems, its content in tannins makes it a food rich in antioxidants, in addition to being considered anti-inflammatory, satiating and offering benefits for cardiovascular and renal system health. » Carob flour has natural sugars (fructose, glucose and sucrose) between 40 and 50%. » Contains 5% of protein. » Minerals such as iron, calcium, magnesium, zinc, potassium, silicon and phosphorus. » Vitamins such as A, B1, B2 and D.
» Rich in tannins (powerful antioxidant). » Gluten free (suitable for celiacs). » Rich in fibers (lignin and pectin).